Find Better Ideas, Faster ® with a custom greenhouse trend report, our PRO Dashboard and 80+ categories of premium trend reports. 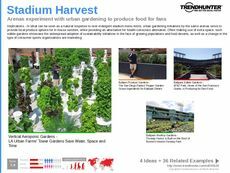 The Greenhouse Trend Report highlights innovative advancements in greenhouse gardening in a variety of different environments. 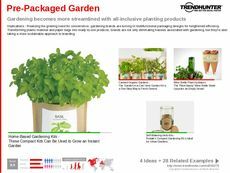 We closely examine both industry and market behaviors to provide you the most in-depth and full researched report on the latest greenhouse trends. 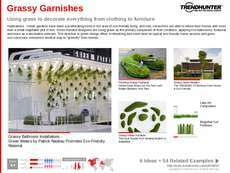 Covering everything from portable pop-up gardens, winterized growing environments and miniaturized urban garden spaces, this report is a detailed look into contemporary greenhouses in the modern world. 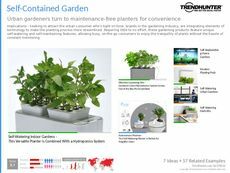 Learn by example with Trend Hunter's detailed findings and expert insights on trending greenhouse innovations. 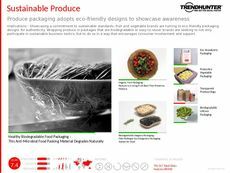 Food producers, grocers, and designers will be provided with a blueprint towards sparking their own creativity, thanks to Trend Hunter's data-driven research and expert guidance. 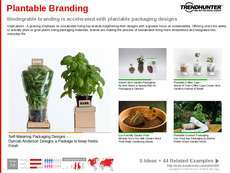 Use the Greenhouse Trend Report's insightful commentary on the newest greenhouse trends to be kept up to speed with the latest industry designs and market developments.